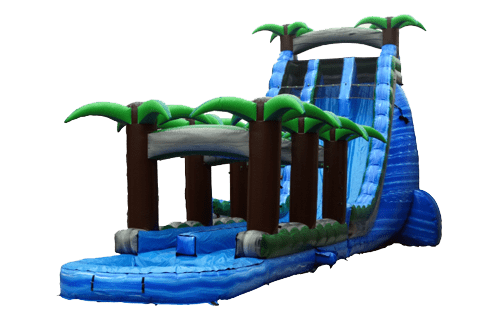 One of Central Floridas Largest Portable Waterslides. 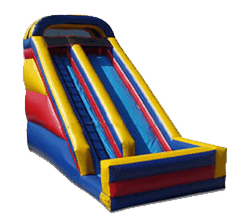 With the sitting platform at 2-stories tall this double lane slide outruns the competition. 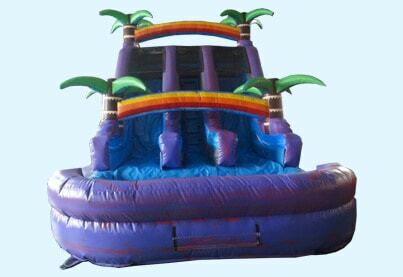 Inflate the fun! 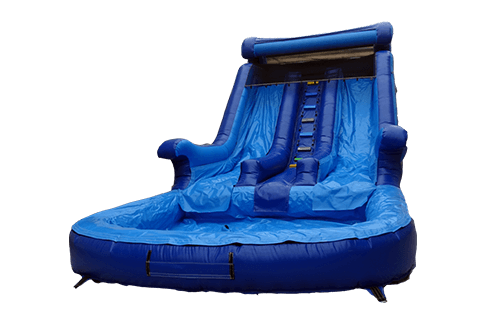 Rent one of Central Florida’s most exciting portable waterslides and cool down with your family and friends this weekend. 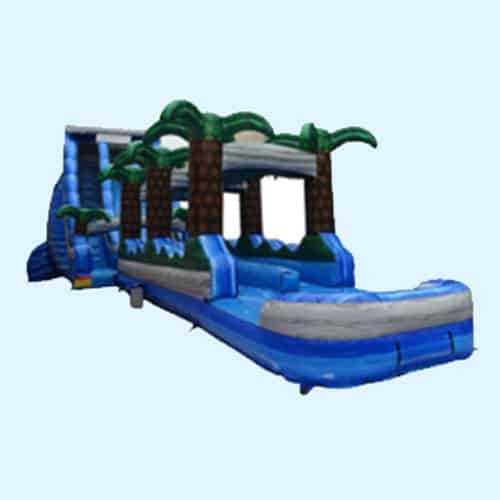 Drop into the tropics on this super steep double lane slide as you split the palm trees to a large splash! 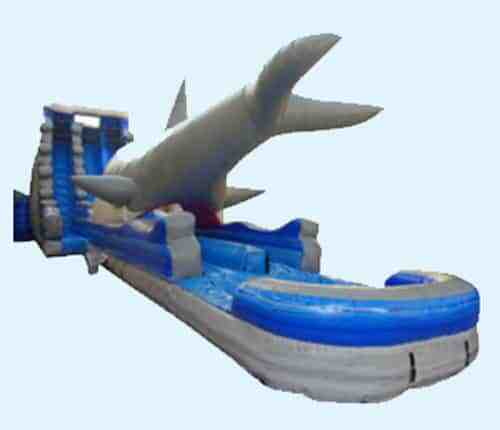 The only one of its kind in Florida. 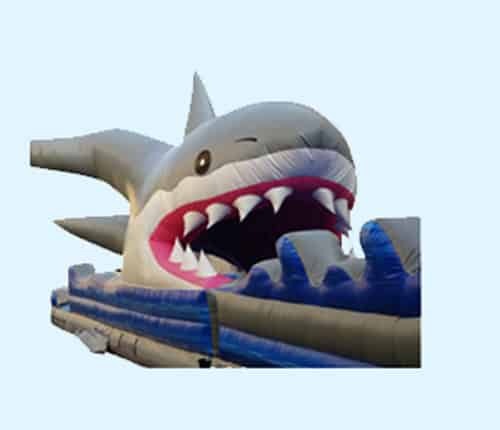 You and a friend take a steep ride through the mouth of a Great White Shark! 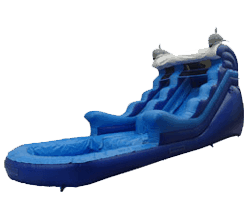 Renting this will make a splash at your next event. 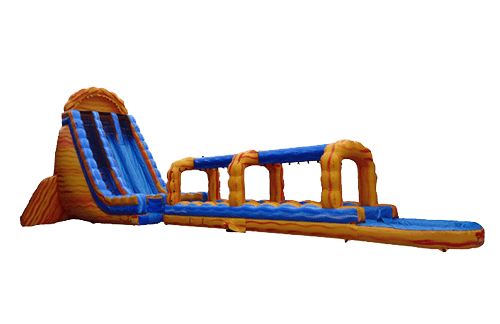 Want speed? 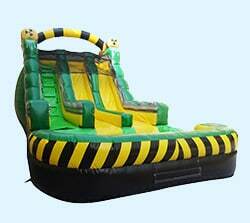 Sitting platform almost at 2-stories, this slide gives you tremendous speed. 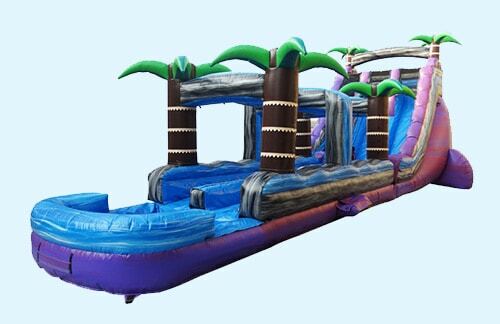 This Double lane slide has it all with its vibrant 6-color tropical-water scheme! 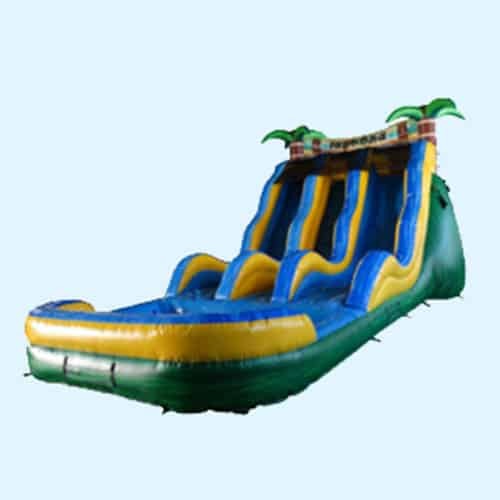 You WILL have the best slide in town. 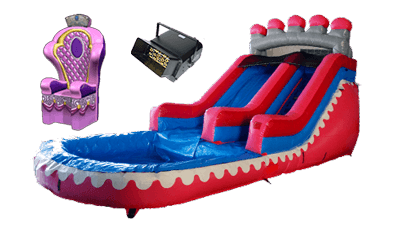 Enjoy a double lane, dropping thrill through the toxic ooze the 3D imaged canisters are releasing and clean off with a big splash at the pool! 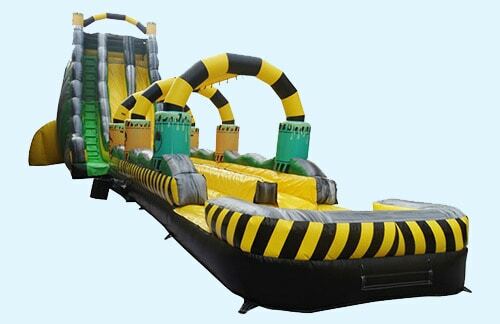 This steep double lane slide is plenty fast enough to outrun the danger of the tsunami. 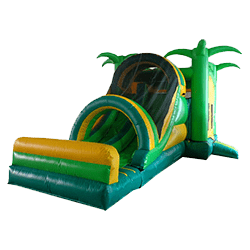 Reserve Your Favorite Dry or Water Slide Rental Today! 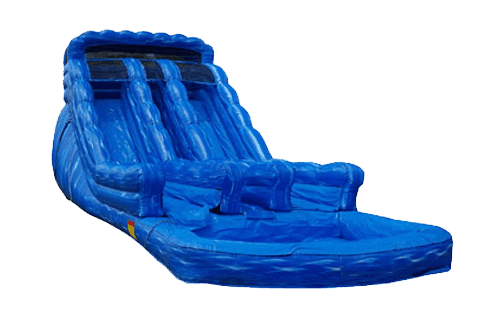 Drop in on this steep thrilling double lane slide and crush into a generous pool of blue! Double, anyone? 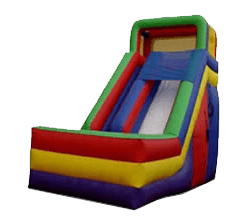 2-lanes, steep and fast. Take a shot to the islands. Super steep, super fast and super cool in marbled water color look. 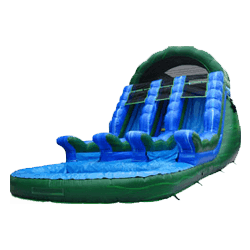 This slide will bring “summer with a kick” to your next event! The only one in FL. 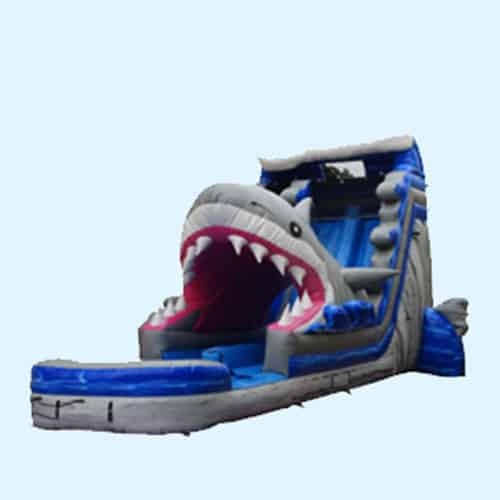 This steep, double lane slide will take you through the mouth of Jaws with enough speed to escape to a large pool! 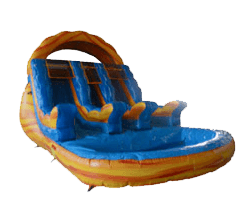 Steep, fast, dual lane and one of largest on piece slides in the county. 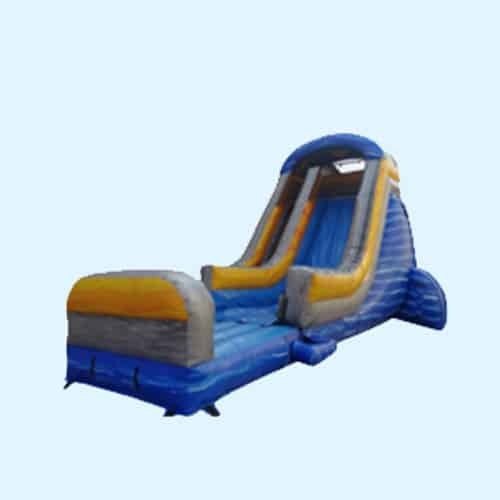 Wide, dual lanes slide into a massive pool. 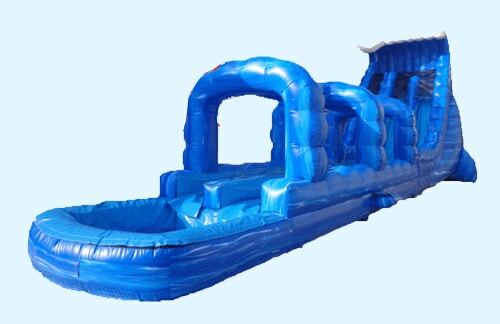 Wide, dual lanes slide into a large pool. 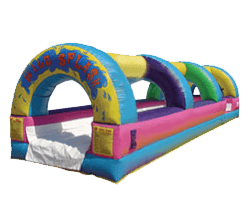 Marble Water Color, Dual Lane, Large Pool…BIG SPLASH! 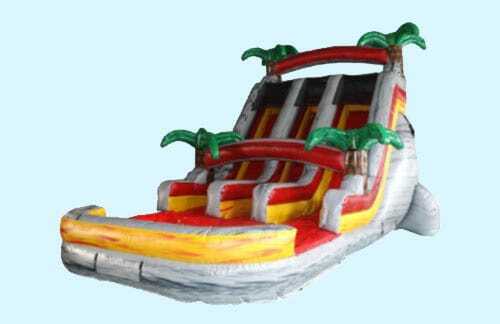 The cheapest double lane water slide rental in Central FL. 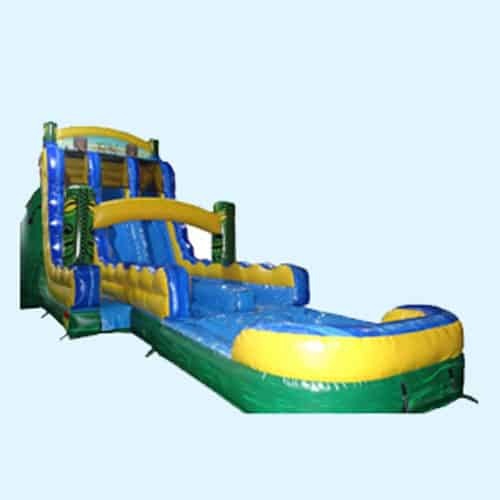 This is a center climb double lane slide. 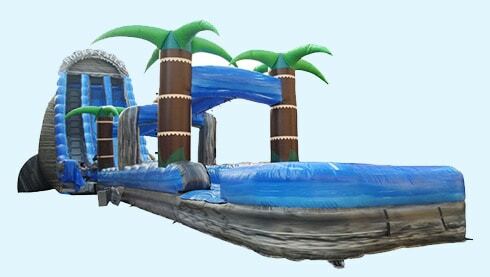 Large pool, Large Splash great for any event. 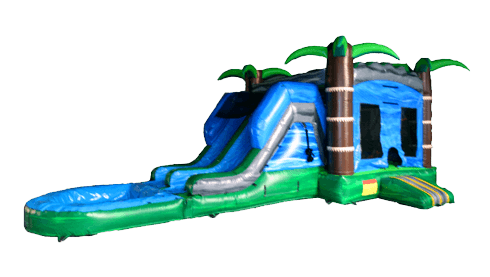 Bring an island to your next event! 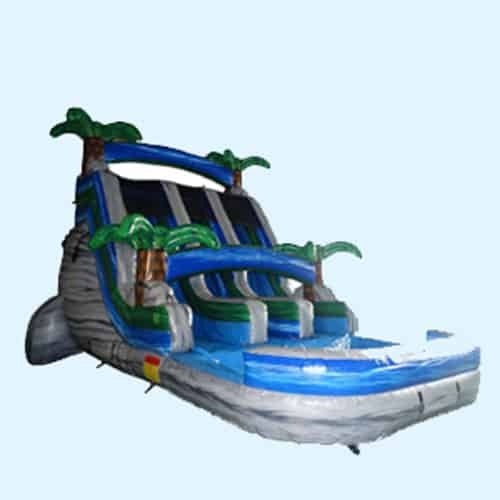 This tropical double lane slide with a large pool is sure to be a splash. 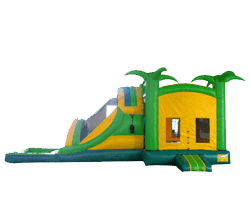 The ONLY one of its kind in central FL. 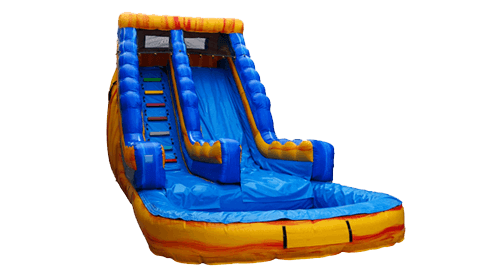 Amazing colors, double lane slide with a large pool at an economical price. 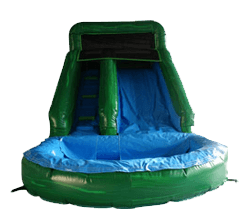 Fast, fun, big splash-massive pool. 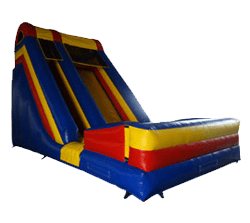 All ages will have a blast at an economical price. 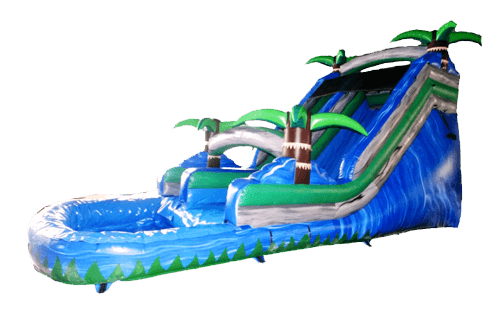 Enjoy a long sliding surface into a large pool with a big splash. 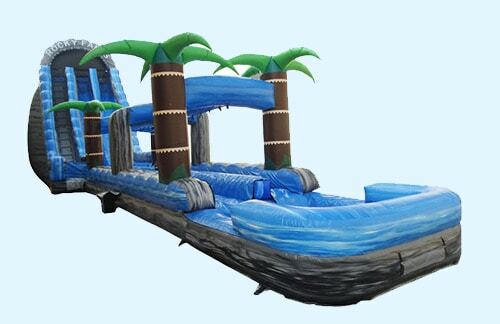 If you’re looking for palm tree fun this is it. 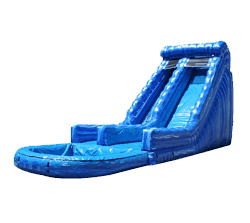 This single lane slide is fast with a big splash. 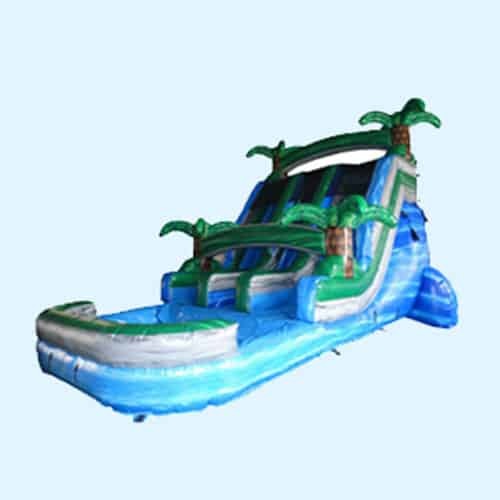 The color scheme is unmatched with a tropical water blend. 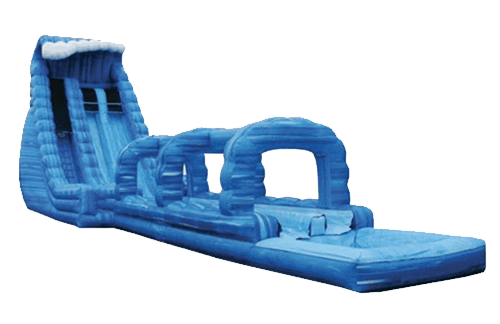 Fast, fun, big splash-massive pool. 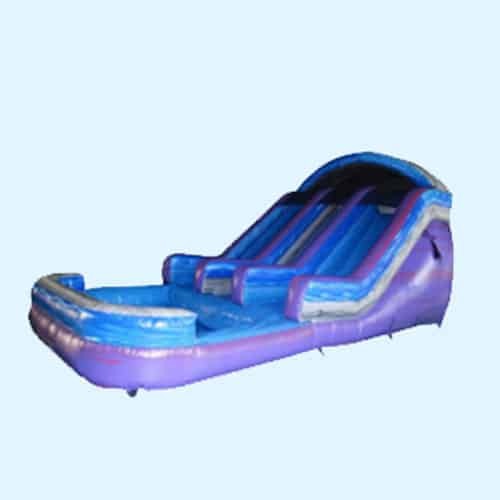 Pink and purple with a Tiara on top this single lane slide with large pool will make any princesses day very special. 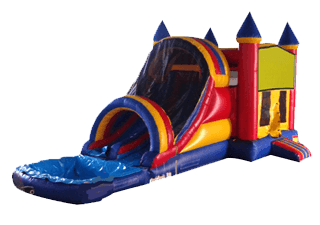 Add a Princess chair and/or Bubble Machine. 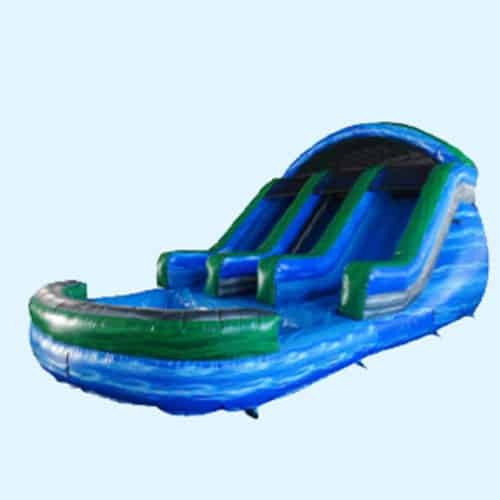 Enjoy a wide sliding surface into a big pool with a big splash. 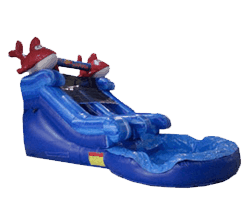 Enjoy a wide sliding surface into a big pool with a splash. 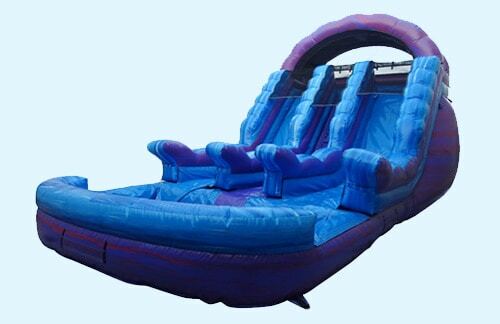 Let’s go under the sea with this amazing water slide with a large pool. 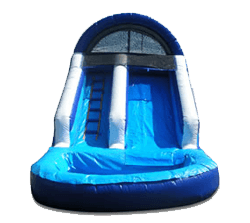 Run as fast as you can to slide of 30ft into a large pool. 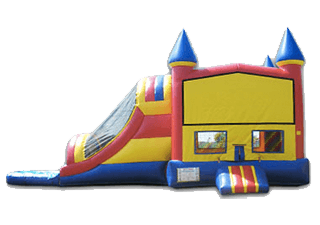 Good for all ages. 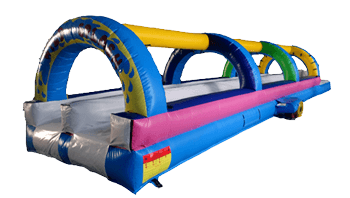 Enjoy this 30ft slip n slide with a wide sliding lane. 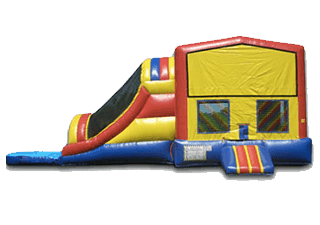 Good for all ages. Treat her like the princess she is on her special day. 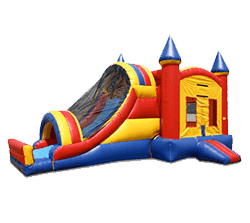 This 5-in-1 combo offers bounce, climb, wet/dry slide, climbing wall and much more. 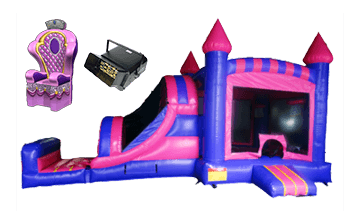 With large wheels, pink and black color with gold trim it is simply the most beautiful inflatable combo on the market. Don’t forget your princess chair when ordering. 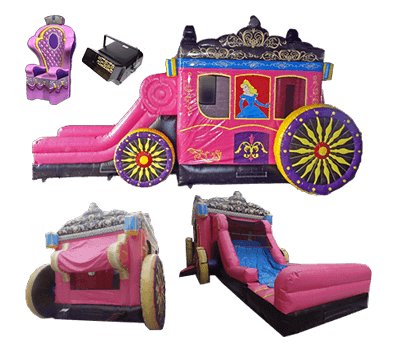 Add a Princess chair and/or Bubble Machine. 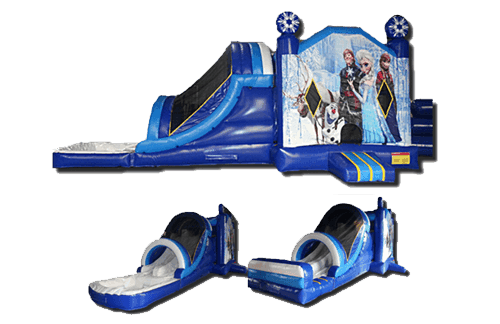 Rent any one “Choose your Theme” Wet/Dry Slide Combos.